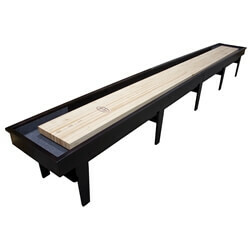 McClure's Patriot Shuffleboard Tables are handcrafted with pride in the USA and equipped with a built-in shelf for wax or powder. 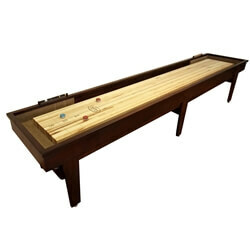 The Patriot cabinet is solid wood and features a 20" wide, 3" thick playing surface made with premium hard maple and coated with our exclusive lifetime warranty traditional finish. Each Patriot 12 foot shuffleboard table cabinet is available in Chestnut, Mocha, or Mahogany finish. 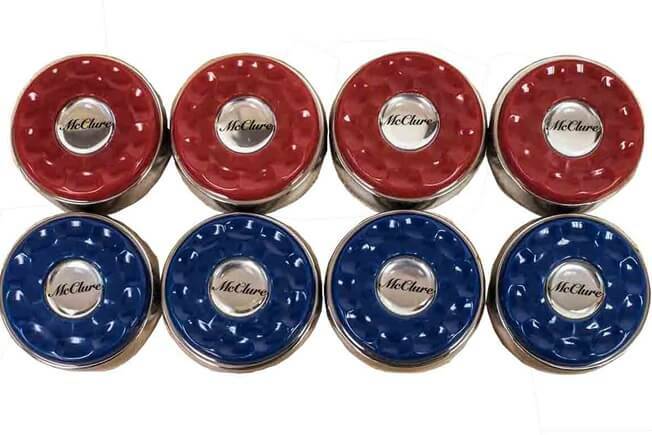 We can also custom finish your new Patriot to complement your specific game room decor, but additional charges for a special finish or wood may apply. 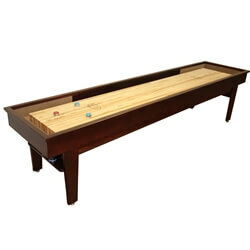 The shuffleboard cabinets for the Patriot are made from 100% solid American Poplar wood, while the play-board is made with locally harvested hard maple. 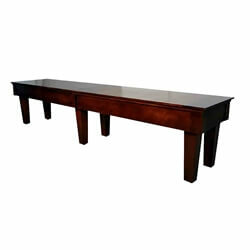 The Patriot is available in 12, 14, 16, 18, 20, and 22 foot sizes. 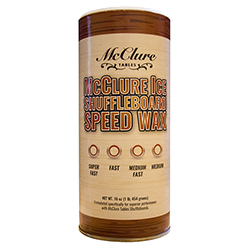 Your order comes complete with 8 pucks and 1 can of shuffleboard wax powder. 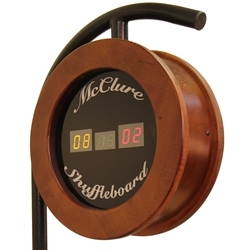 Optional additions include a traditional or electronic scoring unit in a matching finish. 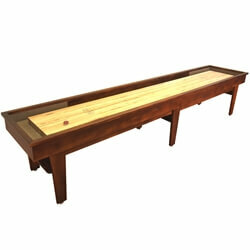 McClure Tables shuffleboards are built with the highest quality local materials and old world craftsmanship.